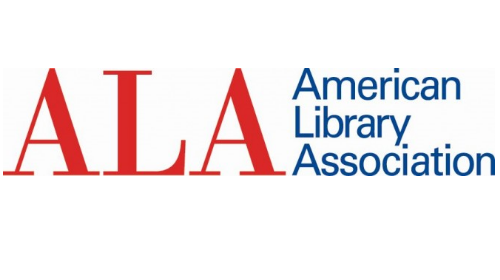 GLBT News solicited each of the current candidates for ALA President to submit a guest column for our membership. The News Committee nor GLBTRT officially endorses any candidate for ALA office. “We have had an unusual campaign and we have the rare opportunity to expand our reach to groups by using blogs, newsletters and virtual and actual presentations to Boards and officers of groups. In talking with past candidates, there has NEVER been a time when there have been so many Q’s and A’s as well as publications and events when we can speak of our campaign and ongoing initiatives. My challenge has been to make sure I stay true to my original initiative direction throughout this process. That may sound odd, but there are many needs in the profession and in the membership and although ALA’s strategic initiatives are well defined (Advocacy, Information Policy and Professional & Leadership Development) Presidential initiatives can either get lost or morph into the issue of the day or the emergency situation that must be handled. That being said, I have announced that I am focusing on leadership development but specifically with the focus of leading with a spotlight on the professional – that is the competencies, expertise, education and experience that the members of our profession – YOU – possess and exhibit every day. My contention is that we can have the perfect library facility, the most in-depth collection, wonderful programs, the greatest amount of technology, and the newest of everything and still not appear relevant to our constituents. In fact, without a focus on the critical role of the individual, we may not even “appear” to our constituents at all. So -we need to spend time and “ink” on “us”…and I want to work with ALL areas of ALA to expand the awareness of the uniqueness of our members in terms of what they do every day to find out what their constituents need and then what they do to create and deliver that perfect facility, the most in-depth collection and perfect set of programs. So why me? There are – literally – dozens of ways Presidents can make a difference. And that’s what voters need to realize…a president’s initiative is certainly the “biggest” way, but the ALA President also testifies before legislative bodies on general library and information issues as well as issues related to our infrastructure; they guest write columns for both general press as well as specific press (NYT vs higher education journals or municipality publications); they are interviewed by the press on their own ALA initiative as well as are interviewed by the myriad of library, information and infrastructure issues. And while some of this is done in advance, while ACRL president, I gave interviews at the very last minute in the car, in the airport, at lunch and at work!